I'm an unrepentant tool geek. Maybe it's because I grew up in a tool-deficient household in which we were forced to fix everything from rotten drywall to malfunctioning Country Squire station wagons with nothing more than a claw hammer and a Philips screwdriver. It was a nearly neanderthal sort of upbringing and, as soon as I could trundle off to other friends' garages, I learned that everything is easier once you possess the right tool for the job. Lezyne’s CNC-Rod should fall into that category; the sleek bit of aluminum provides the more ham-fisted amongst us with a bit of extra leverage when it comes to bottom bracket and cassette swaps. 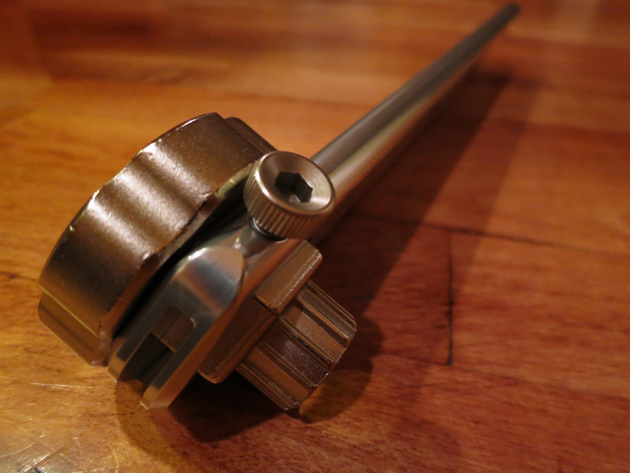 Lezyne bills the CNC Rod as "shop quality" and it is a thing of beauty—a long hunk of CNC'd aluminum with a 32-millimeter hex wrench at one end, designed to mate with the other tool pictured here—Lezyne's two-way external bottom bracket/cassette lockring remover. This second tool fits neatly into the CNC Rod and is snugged into place with a machined set screw. The combination BB/Cassette tool nests nicely in the business end of the CNC Rod–the set screw keeps it in place. Very clean. While no one ever intends to over-tighten their bottom bracket or cassette lock ring, these sorts of things happen to the best of us (which is my way of saying that I routinely apply the Hand of Thor to my external BB's and am then left cursing at myself when it's time to free the suckers up. The CNC Rod should remedy that. It’s considerably more leverage and a more secure interface than that provided by many of the other external BB wrenches floating out there these days. The Lezyne external BB tool fits TruVativ, Shimano, Race Face and other external bottom brackets. 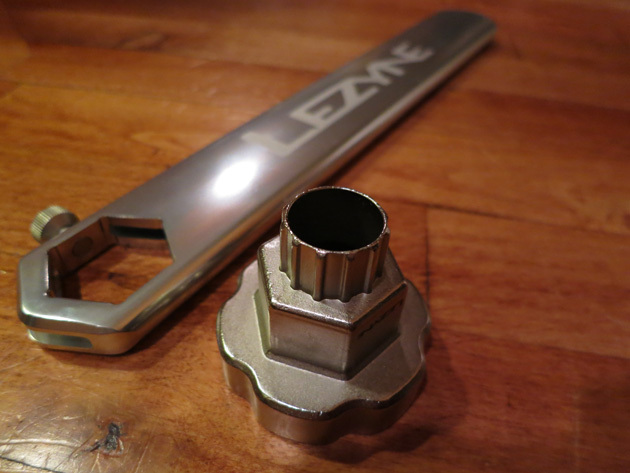 If you are still rocking an ISIS BB, Lezyne makes a similar tool for those. 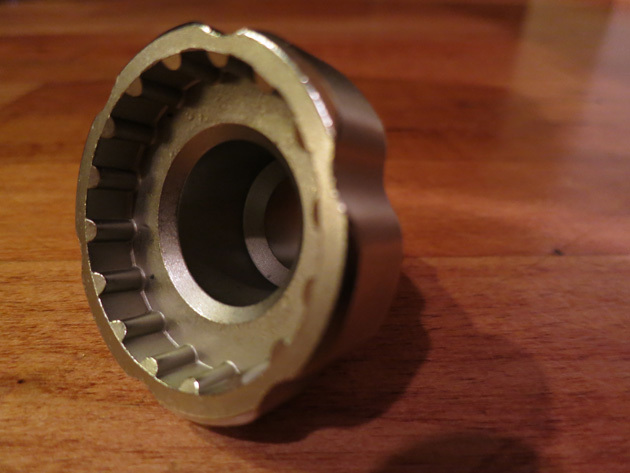 The tool is made from heat-treated, forged steel. The cassette lockring tool on the other side mates with just about ever cassette out there. These two tools just emerged from the packaging. Stay tuned for a proper review—I have some bikes to build, so these things will see action shortly.